Flacco has little love for his home state. With Super Bowl XLVII just a handful of days away, you'd think the last thing on Ravens quarterback Joe Flacco's mind would be next year's game, which is scheduled to be played at MetLife Stadium. Flacco got a question about the NFL's planned trip to our neck of the world for next year's game and the Audubon, N.J., native isn't going to win any fans in Gov. Christie's office with his response. Flacco might be Jersey-born, but he wants nothing to do with a return to his home state. 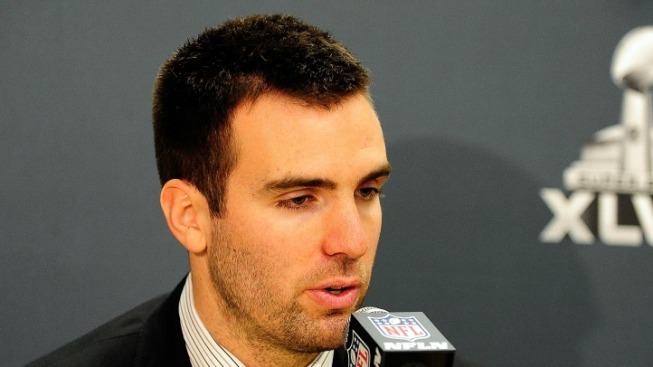 "I think it’s retarded," Flacco said. "I probably shouldn't say that. I think it’s stupid. If you want a Super Bowl, put a retractable dome on your stadium. Then you can get one. Other than that I don’t really like the idea. I don’t think people would react very well to it, or be glad to play anybody in that kind of weather." Flacco caught himself right at the beginning, which is nice since people using retarded as a synonym for things it doesn't mean is something that really shouldn't go on any longer. Otherwise, there isn't much surprising about Flacco's viewpoint. We heard plenty of people arguing against a Super Bowl at MetLife Stadium for just the reasons Flacco mentioned, with more than a few pointing out that spending almost $2 billion on a stadium without a retractable roof makes you wonder just how much gold plating they must have used on the toilets in the owner's suites. But, yeah, there's a good chance that last week's sustained cold spell or Monday's sleety icy storm will greet the Super Bowl next season. That won't be pleasant, but the players' reactions are second only to those of ordinary fans on the list of things that the NFL and commissioner Roger Goodell couldn't care less about. 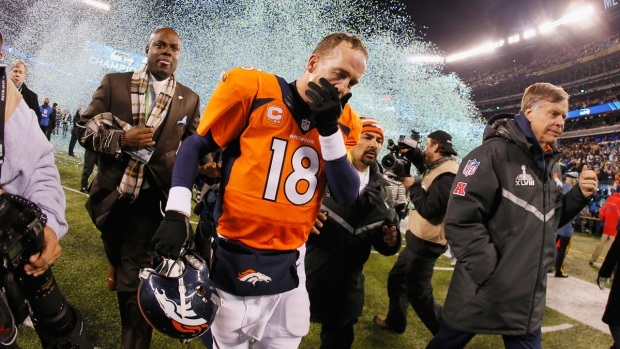 The success of Super Bowl XLVIII is going to be determined by two groups. The first is the sponsors and businesses that swarm every Super Bowl site, pumping money into the host city and the league while continuing to turn the event from a football game to a gigantic celebration of capitalism. This group may be less than enthused about sitting in zero degree weather, should it come to that, and the NFL is asking for an embarrassing camera shot when the best seats in the house are empty as the VIPs sit in the interior bars rather than risking pneumonia to watch a game they don't care about. As long as business is good, though, that group will wind up just fine. The media, on the other hand, is a much bigger worry and things are set up for them to hate it. It's a business trip for media members, obviously, but the length of the stay in the Super Bowl town and the immense amounts of downtime spent with friends and colleagues waiting for the game turn it into a quasi-vacation as well. You know this based on how much they complained about the weather in Dallas a couple of years ago, something that shouldn't have mattered to people who weren't there to do anything but work and watch a game in a covered stadium. If the weather is bad next year, it will be the only storyline the media chooses to cover and it will sour the chances of any other Super Bowl in the elements happening as a result. Make no mistake, next year's game is going to be a huge test about how the Super Bowl will look going forward. And the two groups that will decide the fate of the game are the two with the least riding on the outcome.